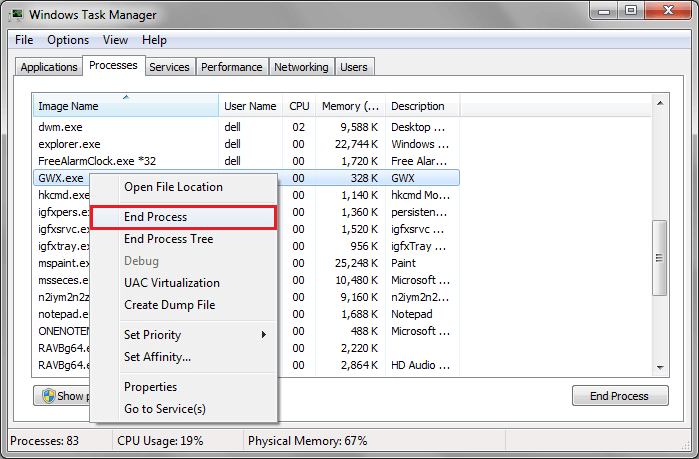 In early version of Microsoft windows , when we did a right click on any process in windows processes running, we got an option to end process right there. But, in the last version of windows which is known as windows 10, MS have removed this option there. Now, you have to go to details to and then in the details panel, just do a right click and you will get options to end process and end process tree. 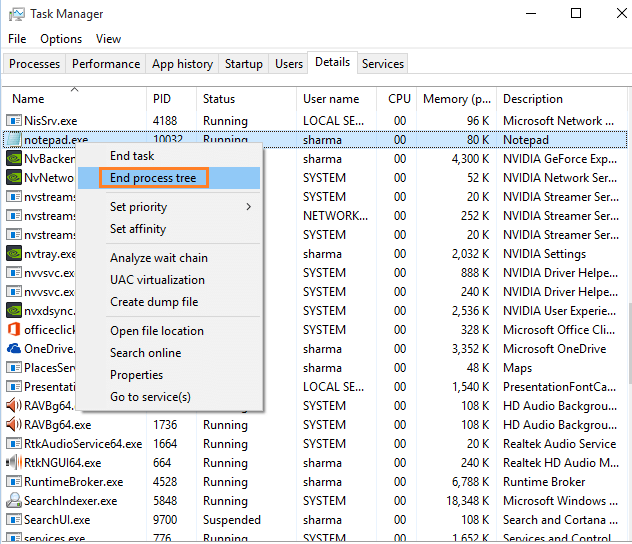 You have to just go a step ahead in ending a process in windows 10 taskbar. Just open task manager by pressing CTRL + Shift + Esc . 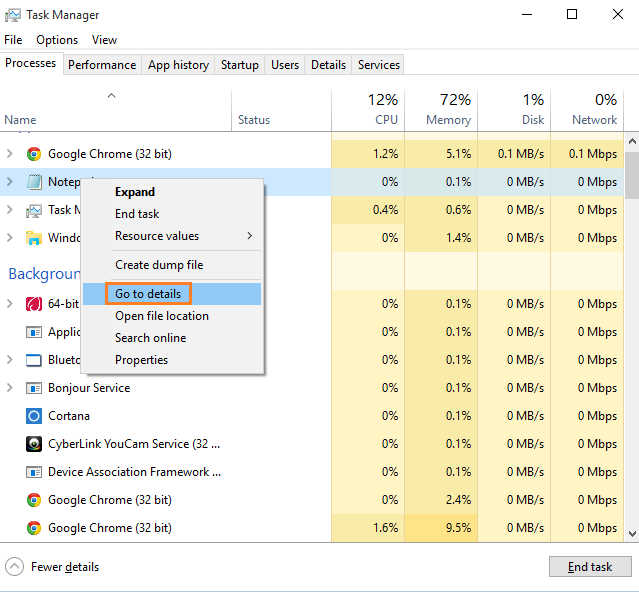 You can also open task manager by pressing windows key + x and then choosing Task manager from the menu. Once you locate the process which you want to kill, just right click and in the menu which opens, click on Go to details. Once you reach details window, just right click on the process and click on End process tree. In this way you can end the process tree. Note that end process tree has same effect as end process. It also kills any sub process attached with the process and helps you to get rid of the process which has get stuck. Once the process is killed, and you reboot the window, it starts again with no glitch at all.